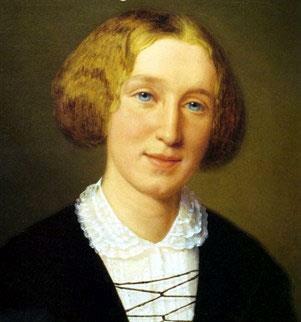 Mary Anne Evans was born on the 22nd November 1819 at South Farm on the Arbury estate, on the outskirts of Nuneaton, Warwickshire, the third of five children of parents Robert and his second wife, Christiana. 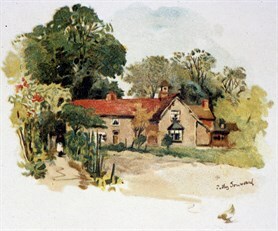 South Farm (known in 1819 as Arbury Farm) from a watercolour by Patty Townsend c 1885, and as it appears today. It can only be visited on a George Eliot Fellowship Tour. Robert Evans was manager of the large estates of the Newdigate family at Arbury Hall, situated over Warwickshire’s richest coalfield. He was born at Roston Common in Derbyshire, the fourth son of the village carpenter. Having received a basic education at the village school run by Bartle Massey, whose name is later given to the schoolmaster in Adam Bede, he was apprenticed to his father’s trade. 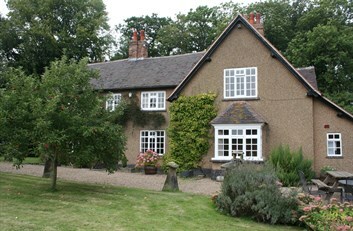 Robert Evans established his own carpentry business in neighbouring Ellastone, Staffordshire where he was employed by the local landowner Frances Parker. On inheriting the Arbury estate in Nuneaton in 1806 following the death of his cousin Sir Roger Newdigate, Parker (who became Francis Newdigate) took Robert Evans with him to manage the 7000 acre estate. Robert was a man of legendary physical strength, great practical ability and unimpeachable honesty. His duties at the Arbury estate were wide-ranging: he surveyed land and buildings, managed the tenant farmers, collected rents and was involved in negotiations with road-builders and coal-mining businesses in the area. His knowledge and integrity were so widely respected that he was often called upon as an arbiter in disputes. Robert was also relief officer for the estate: he distributed assistance to the poor, helped administer the workhouse and called Newdigate’s attention to the need to reduce the rent when the harvest was poor. From him, his daughter Mary Anne acquired a sympathy and sense of responsibility for the welfare of working families.